The British are coming! And we are celebrating all that is GREAT from Britain in the USA. For decades, Britons famous and otherwise have enjoyed a close relationship with tippling, from the Dickensian punches to the now infamous Martini preferences of agent 007. 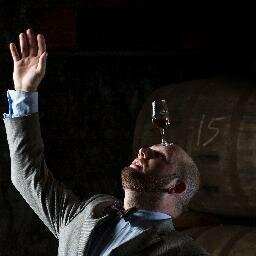 Come and learn the British contribution to cocktail culture with a timeline fact checked by cocktail historian David Wondrich. Join us for cocktails, Royal Garden Party style with Hendrick’s Gin. Experience a Single Malt Tasting fit for a Queen with The Balvenie and Glenfiddich and stick around for some good old fashioned British cheekiness from Monkey Shoulder Scotch Whisky alongside some wonderful British cheese and other treats too, served by Charlotte Voisey and the Ambassadors of William Grant & Sons. The drinks will be GREAT, join us to ensure the company is too. Whisky-huggin, Scotch-talkin Texan. Looking after the Balvenie throughout the heart of the USA.